Home / Technology / What are restaurants doing to cut down on single-use plastics? Halifax restaurateur Bill Pratt is still waiting for a two-year supply of biodegradable paper straws he ordered three months ago to show up. Trying to source a paper straw that doesn’t turn to mush after 30 minutes in a drink is a challenge, he admits, but one that he and others in the business are trying to meet as more and more customers demand eco-friendly alternatives to single-use plastics. “The demand has gone through the roof,” says Pratt, founder and director of Chef Inspired Group of Restaurants. The Dartmouth, N.S.-based company includes Habaneros and Cheese Curds restaurants as well as a number of food trucks. Many national chains have also taken steps to move away from single-use plastics — a shift that’s largely customer-driven. Recipe Unlimited is Canada’s largest full-service restaurant company with brands including Swiss Chalet, Harvey’s, New York Fries, Montana’s BBQ & Bar, and East Side Mario’s. 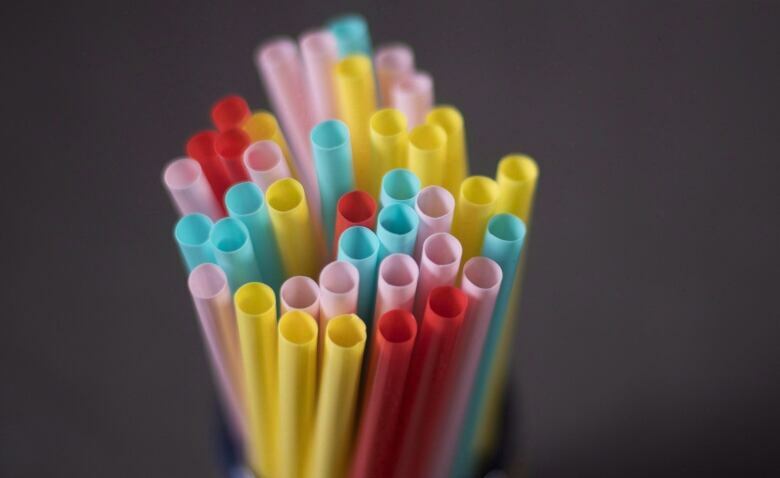 It started phasing out plastic straws in August, with the aim of having them all gone by March 2019. Their Prime Pubs brand has already eliminated plastic straws at their locations, including Fionn MacCool’s. “Our customers across different brands have been asking, can we do something, can we make a change, and try to make a difference,” says Maureen Hart, senior director of communications and corporate affairs at Recipe Unlimited. Going forward, Hart says paper straws will be available upon request, though she hopes customers will ultimately opt to go straw-free. The challenge, she points out, is a growing trend toward takeout and delivery, with companies like Uber Eats offering a broader service of delivery from restaurants. Customers want less packaging and waste — but they also want their food to go. “To look at reduction strategies makes it challenging when the behaviour is going in the opposite direction,” she says. 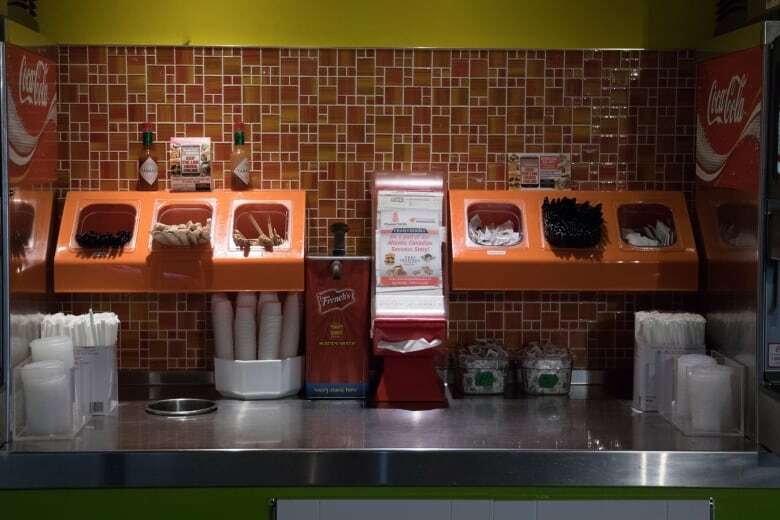 Recipe Unlimited has heard from customers who want to bring their own containers when collecting takeout orders, but that introduces another problem, which is food safety. Instead, the company is looking at possible replacements for its single-use plastic packaging, takeout containers, cutlery, and cups. However, as Pratt has discovered, many options are more expensive and not all customers are on board with the change. 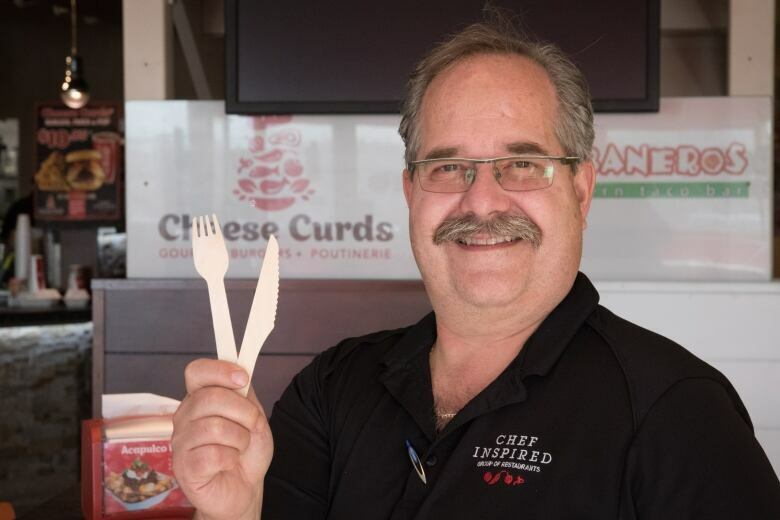 Chef Inspired introduced wooden, biodegradable cutlery in its restaurants years ago, but now offers both wooden and plastic options due to a negative reaction. “We get a lot of complaints about the wooden cutlery, people feel like it’s a tongue depressor when you’re eating,” says Pratt. His company also uses biodegradable takeout containers, which he says are made of sugarcane, but cost three times more than plastic. Another challenge is offering containers that might be recyclable in one jurisdiction but not in another. The inconsistencies in Canadian municipal recycling rules is on the radar at McDonald’s, according to the restaurant’s public relations manager, Kristen Hunter. She says the company has plans to tackle that issue. “We understand that recycling infrastructure, regulations and consumer behaviours vary from city to city, but we plan to be part of the solution and help influence powerful change,” Hunter wrote in an email. Much of the packaging is fibre-based at McDonald’s, but Hunter says the company uses plastic packaging in approximately 20 per cent of its global operations. Earlier this year, the chain announced its goal to source 100 per cent of guest packaging from renewable, recycled, or certified sources by 2025. Pratt wants to see people, businesses and municipalities all get on board and commit to new products in order to help reduce costs. “Some cities where I’ve worked in the past, Fort McMurray for example, have said, no, we don’t have any plastic bags,” he says. With alternatives being developed to respond to this demand, the people at Recipe Unlimited hope to bring changes to their restaurants sooner rather than later. 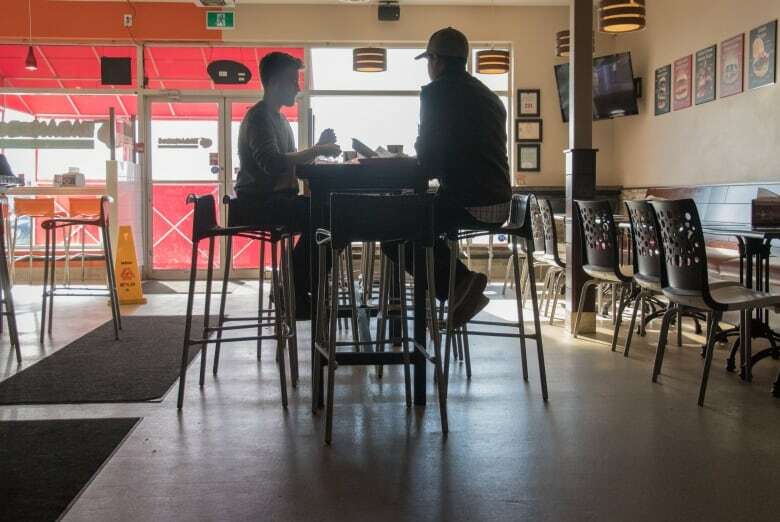 Canadian chain A&W has announced a rollout of its plastic straw ban, which it says will save 82 million plastic straws from ending up in landfills. McDonald’s was recently identified by a Greenpeace audit as one of the five multinational corporations whose branded waste was most frequently collected in cleanups in Canada. The restaurant chain now has plans in place to reduce plastic and is looking for sustainable solutions for plastic straws globally. It started providing paper straws in the U.K. and Ireland with trial alternatives in other markets. Subway is eliminating plastic straws from its 3,200 restaurants in Canada, and is working toward making all its packaging recyclable, compostable, or manufactured from sustainably sourced materials. Starbucks has promised to eliminate plastic straws by 2020, with a strawless lid and alternative-material straw options to replace them.